For any developers interested in making spam filters or poker AI, this is an interesting read. ★ The greatest desktop clock, photo viewer, and weather station, all in the same app. ★ Displays the Weather, Temperature, and Slideshow of your own photos. NEVER USE A BORING CLOCK AGAIN! All-in-one App, displays the time, date, and the weather all in an easy to read display. Facebook and Twitter share photos with your friends. Slideshow of your own photos. Custom Subreddit lets you add any other photos you want. See http://www.reddit.com/reddits/ for available Subreddits. Easily see every photo with automatic zoom. Option to prevent unsafe (NSFW) photos from showing. Great for during work. Weather is depicted in an easy to see icon and the temperature can be set to Cº or Fº. I use this App in my living room, and I am constantly thinking of new features to add into it. It will be supported forever and ever. This is what the whole map looks like right now. 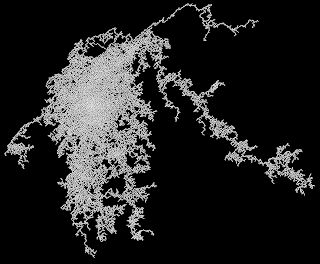 Each dot is a tile. 100,000 tiles in almost 2 months of time. I'm amazed. 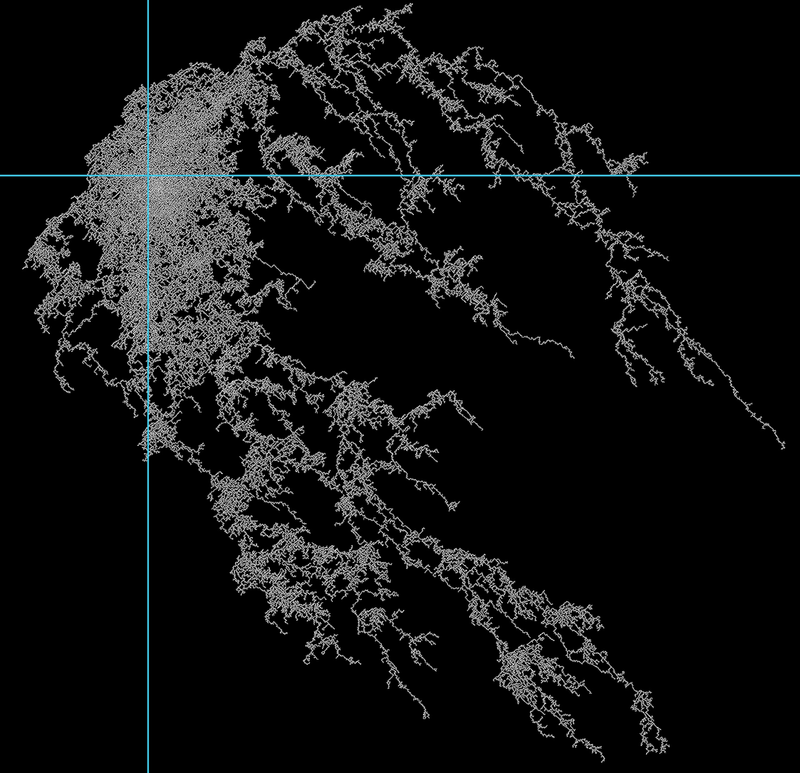 Here is a link to the free fully functional version. 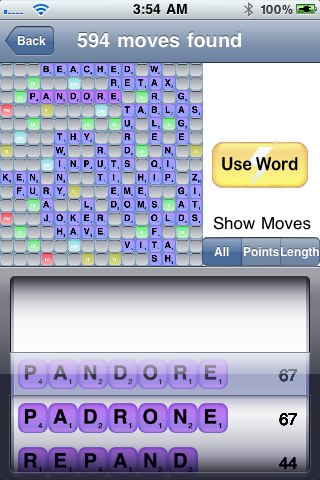 Ultimate Word Finder will find the very best scoring word on any Words with Friends game. With this App, you can not possibly lose! 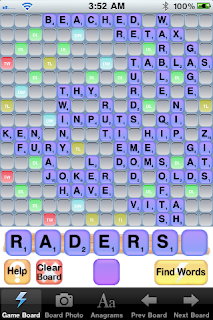 Unlike every other Word finding App that only generates mere anagrams with rack tiles, Ultimate Word Finder will actually find every single possible move on any Words with Friends game. Ultimate Word Finder helps you quickly and easily find all the possible words from a given set of letters. 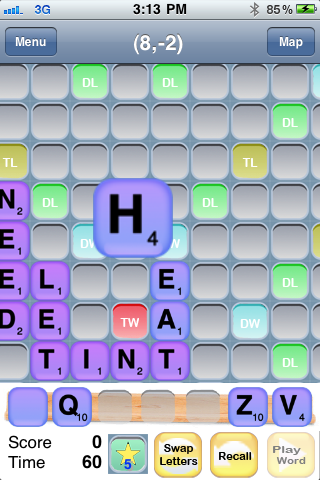 It's great for finding all possible words in Words with Friends. 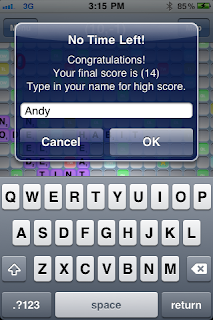 Ultimate Word Finder helps you learn many great words, find high scoring words that you may have missed, and even generate anagrams using the new anagram generator. 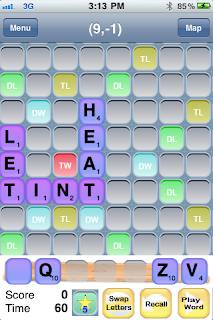 To cheat and win in Words with Friends, all you have to do is load the Screenshot in Ultimate Word Finder and then press "Find Words". 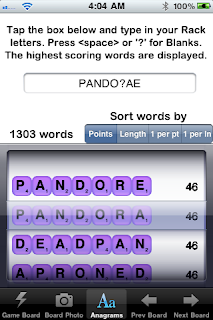 Ultimate Word Finder will automatically generate all possible words. You can see all the words, from the highest score to the lowest scores. 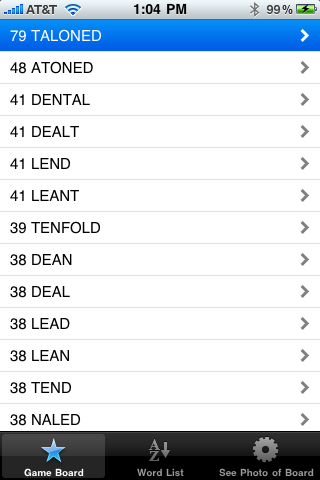 You can even filter the list of words by points and by length. Whether you want to better yourself in Words with Friends, or just want to win, Ultimate Word Finder will be the ultimate tool for devastating your opponents. 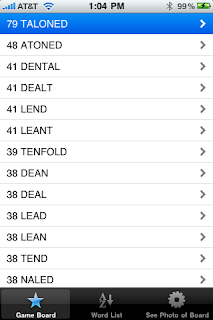 - Powerful OCR capability reads and transfer tiles from any screen shot. 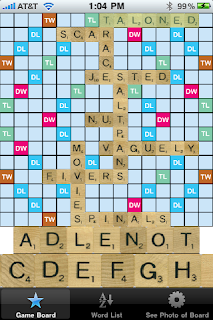 - Get the highest scoring word possible from any board. 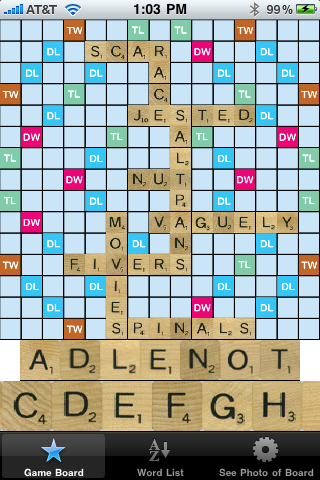 Find every single possible word that can be played on the board. - Three different modes of inputting letter into the rack and board. Tap to use On screen keyboard to type the letters in. Or you can drag the blank tile and select a letter. Or you can even use the OCR. The choice is up to you. - Discover up to 100,000 unique plays for each board setup. No joke. 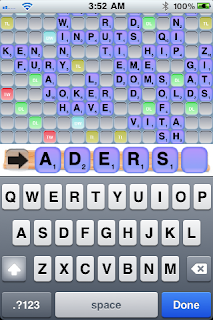 If the move exists, Ultimate Word Finder will find it. - Save multiple boards, up to 32 boards simultaneously. 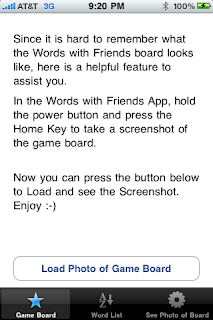 - Official Words with Friends Word List used. 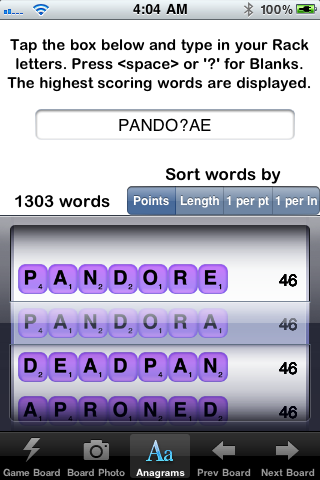 Every word found in Ultimate Word Finder can be used. - Zoom in and out of board for easy editing. - Very Conveniently, Ultimate Word Finder does not require an active internet connection. You can use this App whenever you like. Great for iPod touch and places with little to no reception. - Sort and Display the words however you like. - Fast Anagram finder. This anagram finder can generate anagrams that works with any popular word games like Lexulous, Bananagrams, and Text Twist Turbo. World of Words is a word game that lets you play with thousands of other people at the same time. Imagine sharing a game board of infinite size and you are playing with everyone else who is connected. Anyone can see and build off your words, and so can you. Race against the clock as you compete with people all over the world for the very best high score. 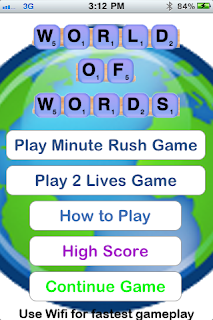 Or play in the leisure game mode and build carefully crafted words without an rush. Play however you like. The fun is up to you. After 5 months of development, I finally finished this game. It took a whole lot longer than expected. Who knew learning how to develop good UI and stable multiplayer code would take so long :-) Anyway, this game is hardly done. I have a lot of new ideas to make this game even better. So I'm going to continue developing this game for the near future. 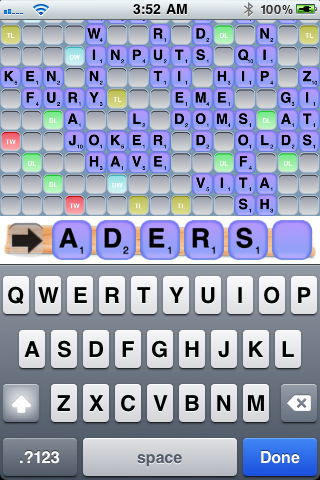 On my off time, I'll take some time to fix and improve my word finder apps. Thanks for the patience. Anyway, try this game out. Hope you like it. 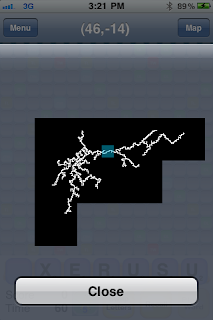 Wow, Kinect is very hackable and coder friendly. This is quite inspiring for anyone that say they can't do a marathon. He's 50 something years old, isn't exactly in the best of shape, and he runs over an hour every day. Alright, next year I have to do this. 1) Slice all the veggies. 2) Slice the Italian sausage. 3) Throw everything into a big aluminum baking pan. 4) Still baking, so we'll see how long it actually takes. 5) Put cheese on top and bake until cheese melts. Baking time was 2 1/2 hr at 350F. Food tasted horrible :-) so I decided to patch things up by putting Alfredo sauce, bread crumbs, egg whites and diced cheese and baked it for 20 minutes more. Now the food tastes good. Lesson today, if it tastes horrible, just add more ingredients until it tastes good. Words with Friends Word Finder for iPhone 4 Fix Submitted to Apple. It was an awesome feeling seeing the OCR feature working for the first time on my iPhone. It was the feature that was requested the most. So finally getting the update out was a thrilling experience. So for everyone who bought the feature, thank you. 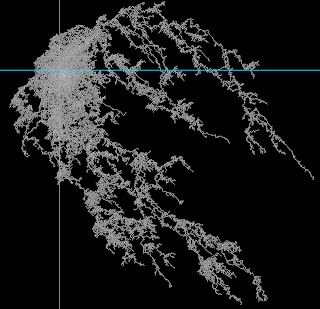 I'll continue working on optimizing the speed and accuracy of the OCR engine. Anyway, with the update, I fixed the shaking sensitivity problem, oriented the screenshot to match the game board better, and speed optimized the switching of the game boards. Switching boards should be near instantaneous now. Also, it is IOS 4 compliant, which means this app can multitask and switch to other apps without closing. A fix for Words with Friends Word Finder OCR feature is coming soon. In introducing the new OCR feature, one thing that eluded me was testing it for the iPhone 4. Currently, the new OCR feature does not work for the iPhone 4. It works fine for all older iPhones and iPods. Please be patient. A fix is coming soon. Thank you. Let's say you are somewhat short-stacked and limped in with AK. A relatively tight player reraised all-in and got your stack covered. Most amateurs would call, but this is a mistake. With so little chips committed, there is no point in risking all of your chips for a ~50% chance to win. It is better to look for situations that is advantageous to you. If you held KK with a short-stack, and someone reraised you all-in, obviously you should call. But the reason behind it is that you know the only other hand you are a dog is against AA. Against QQ,JJ,TT,99, you are ahead 80:20. Against AK, you are ahead 70:30. Against AQ, AJ, Ax, you are ahead 72:28. So you are most likely a 2:1 to 4:1 favorite against your opponent's hands. Now if you think it over, if you call every single all-in with AK, you will lose money in the long run. Where as, if you call with KK every single time, you will make money. This concept is simple enough preflop, but people should understand that this applies to post-flop play as well. Let's say you have top pair, and you know that your opponent has a mid pair and a flush draw. If you have very little money commited in the pot, and your opponent went all-in. Is it really worth it to call? The answer is a definite no. Half the time, you would be grumbling to yourself, thinking you made the right read of your opponent, but your luck was bad. Too bad it isn't that your luck is bad, but your play is not advantageous. However, there is one caveat. The above only applies to heads-up situations. If it is a multi-way pot, your odds are significantly better. So calling could be worthwhile. P.S. If you are looking for a leak in your otherwise *ahem* flawless game, this could be one of them. Often times in cash games, I would see someone dropping to 1/3 of their buy-ins and then become desperate. Then the next time they get any pocket pair or Ax, they would go all-in. While any two cards are playable in deep-stacked situations, being short-stacked is another matter. In short-stacked situation, a person should be looking for an opportunity to double up. He/she must look for situations that helps himself/herself get an edge. For example, if no one raised yet and you are near the dealer button, going all-in with AK,AQ,AJ,AA,KK,QQ,JJ,TT,99 should be fine. Going all-in with a pair of 5s or A8 is reckless, and desperate. If there is a raise, the only real cards that stand a chance is AK,AA,KK, or QQ. If you are the type of person who does not have the patience to wait for cards, then just buy back to your normal range. Whatever you do, don't just throw your money away. If you are trying to find leaks in your game, this could be one of them! 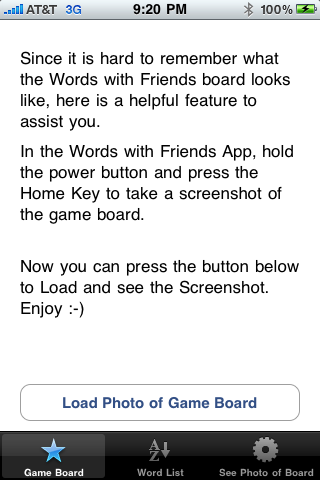 New version of Words with Friends Word Finder out. Enjoy. ** If the App is crashing for you, your iPhone/iPad touch is low on memory. Please quit other applications or restart your iPhone/iPad. Why doesn't the tile land on where it is when dragging? 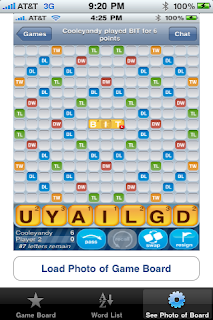 When you start dragging the tile, you will see a floating tile to the top left of your thumb. 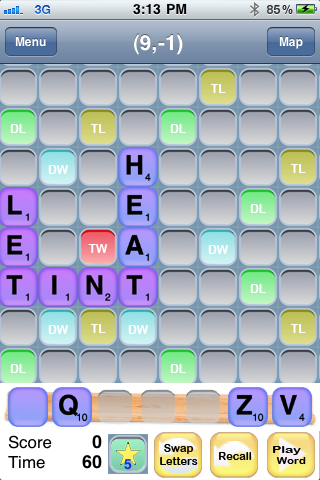 The tile lands at the center of where your thumb is pressing on the iPhone screen. 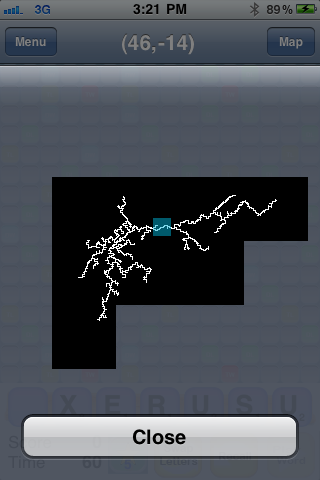 It does not land on where the tile is shown floating. The reason behind this is because so that you can see the tile you are dragging around. After the latest update, the tile now lands on where it is floating at. It should be less confusing now. I can't seem to drag the tile from the bottom. All it does is scroll the tiles left and right? Be sure to drag the tile from the bottom straight up, and not sideways. 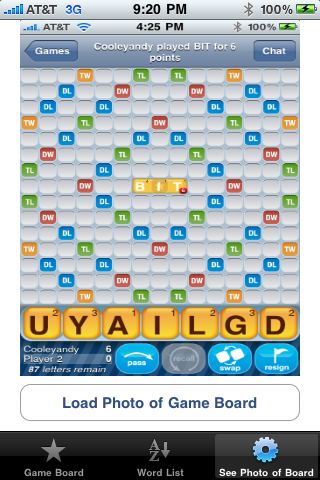 You can choose what tiles to get by sliding your thumbs left and right at the bottom of the screen. 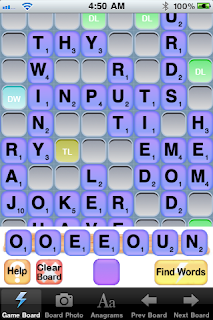 You can get a particular tile by pressing your thumbs on a particular tile, slide it straight up to the board or rack. How do I clear the board? Easy. Just SHAKE the iPhone. Shake it a bit harder if it doesn't work. How do I get rid of a particular tile? Just drag it to the bottom of the screen to where you choose a particular tile. The bottom of the screen is essentially the tile bag. So by dragging the tile back to the bag, you are putting away the tile. We hear ya. After much deliberation with the CEO, production manager, and the head developer, we have decided to add this post to provide technical help for those who need support for Karaoke Party for the iPhone/iPad. 1) Where do I find songs? or google. You can find some free ones scattered around. 2) How do I transfer songs to Karaoke Party? a) Very simply, you will need a computer with a File Transferring Protocol application or otherwise known as an FTP application. All you have to do is connect Karaoke Party at the IP address of your iPhone/iPad on port 40000, and transfer your CDG or ZIP karaoke files. FileZilla for Windows and Cyberduck for Macs have been tested to work correctly with Karaoke Party. If you have connection problems with your own FTP program, please use the tested FTP programs. Be sure that both your computer and your iPhone/iPad are connected to the same Wifi network, otherwise they can not communicate with each other. b) If you need help with the FTP program. Here it is. First, download and install either FileZilla for Windows or Cyberduck for Mac. Now, make sure both your computer and iPhone/iPad are connected to the same Wifi network. Please open the Karaoke Party now and go to the Transfer Songs tab. Remember the IP address. You will need this IP address for the FTP program to connect to the iPhone/iPad. If it saids you are not connected to a Wifi network. Please make sure your iPhone/iPad is connected to a Wifi network. Make sure Karaoke Party is running on your iPhone/iPad and set at the Transfer Songs tab. Run the FTP application and use that application to connect to the IP address you obtained from step 3 at port 40000. You have to enter the port number, otherwise you will not be able to connect to your iPhone/iPad. If the connection fails and you made sure the settings are correct, try rebooting your computer and restart Karaoke Party. If Karaoke Party crashes (rarely) or the connection broke, just use the FTP application and resume the transfer. You do not have resend any sent karaoke songs. Good, with the FTP application connected to your iPhone/iPad, you can now transfer your karaoke songs. Either drag and drop the ZIP or CDG+MP3 karaoke files into the FTP application. After the file transfer is done, you're all set. Good job getting this far with me. If you have problems connecting to the iPhone/iPad, you can alternatively try other FTP applications, reboot your computer and restart Karaoke Party. If you still have problems, try posting the question here. Be sure to check to see if the answer has been posted already. 3) Song volume too low? First, make sure you turn up your iPhone/iPad's hardware volume. Do this by using the volume buttons on the side of your iPhone/iPad. Turn it all the way up. Then turn up volume in Karaoke Party. 4) Song volume too low for built in speakers? If you followed the above suggestions and it is still too low then I have to apologize. The short answer is that there is nothing I can do. The iPhone has two speakers. One is above the screen, and one is below the screen. Since Karaoke Party uses the Microphone, the iPhone must use the speaker above the screen, otherwise there would be feedback. The above speaker is not very loud. This is why I recommend using headphones when using Karaoke Party. 5) Why won't my uploaded songs show up? If you are currently in the Song list, go to another tab, and then switch back. Also, remember that only (CDG+MP3) and ZIP files are supported. 6) I hear static or white noise while using an iPod Touch? People using iPod Touch with no attached microphone might hear static when starting Karaoke Party. This is currently a bug. To get rid of it for now, just turn down the microphone volume all the way down. I hope this helps you guys and gurls. If there is anything else I didn't cover, please feel free to ask away. Be sure to be as detailed as possible in your question. With time, I'll add any answered questions to this list. Generally, when a person talks about bluffing in Poker, they mean putting a big bet with bad cards. There is actually another way to bluff, and it is bluffing that you have bad cards when you have a monster. It is very useful against suspicious players. I'm not talking about slow-playing. Here is my recent war story to illustrate my point. I was at a 5/10 game in utg+3 with $1400. B was in the dealer position with $4500, and C was in BB with $2000. I recently won some money from him, so he was a bit off from his game. I picked up JJ, and I limped $10. Co limped, B raised 5xbb to $50, C called. Seeing the opportunity I reraised to $200 to represent high pocket pair. B hesitated for a bit, and called (possibly: low pocket or AJ,AQ,AK). C folded. Now the flop came A,J,2 rainbow. I got middle set and I was first to act. I decided to go All-in with $1200 to represent high ace pair or stone cold bluff. B almost insta-called and the rest is history. Against most suspicious, aggressive players, overbetting is seen as a sign of weakness. Plus my preflop check-raise represented high pocket, so his read is that I don't have an Ace. I probably have something less than an ace, like KK or QQ. B's read is right, I don't have an Ace. Plus most people don't go all-in with a monster set with no real draws. Poker ediquette is important after all, if not just because people will play softer against you.